If you look at the stats of professional players, you will notice that they tend not to lose a lot of games. Is it because they always get better positions and win? If you take a closer look at their games, you will discover that... they SCORE A LOT from inferior positions! That type of "I hope this helps" approach just won't cut it anymore. Not only it is not saving your games, it almost certainly costing you rating points. A lot of points! If you actually want to save and convert some of your losing positions into the wins, then you need to do more. You need a PROVEN process in place to tell you exactly what and how to play - especially when you are losing! But how do you systematically convert mediocre positions into winners and consistently turn the tables on your opponent? In this course, IM Ostrovskiy reveals his signature approach for SAVING the positions you previously thought were “dead lost”. You will get his exact master plan with the step-by-step guidance allowing you to save MANY of your inferior positions and CONVERT some into the wins. Stop spinning your wheels. Just imagine what saving 2X more positions and converting 2X more “lost” games could do for your chess? 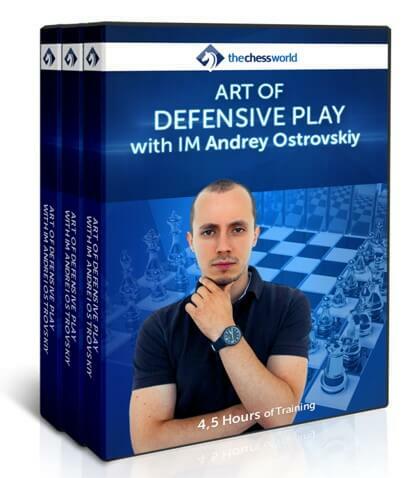 In this course, IM Ostrovskiy revels his signature approach for SAVING the positions you previously thought were “dead lost”. You will get his exact master plan with the step-by-step guidance allowing you to save MANY of your inferior positions and CONVERT some into the wins. Train the important defensive motifs with a set of specifically designed tasks and challenges. Practical part is an important element of the course. 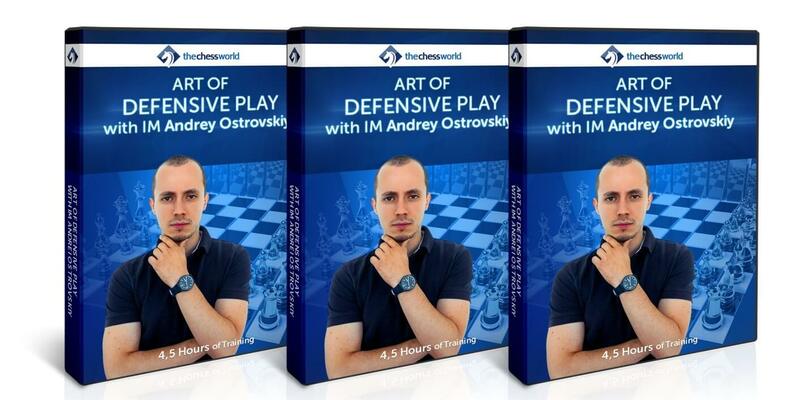 Instant download of 2 Grandmaster courses covering important concepts of defense that can greatly supplement the material presented in the course. First 50 buyer only. If you've already purchased this course you can get an alternative choice of a comparable value.